Public Wi-Fi is seen by organisations as a big risk, report finds. Public Wi-Fi networks are being put to the sword by security-conscious organisations everywhere. The iPass Mobile Security Report 2018 found that public Wi-Fi is seen by organisations as a big risk. Therefore, some ban their use sometimes, while others ban their use always. In 16 per cent of cases, Wi-Fi isn’t yet banned, but they are planning to do so in the future. 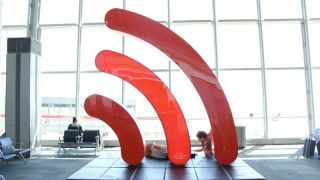 Public Wi-Fi, like the one you can connect to in a café or a coffee shop is considered the biggest threat, followed by Wi-Fi networks on airports, hotels, train stations, exhibition centres. “There is no escaping the fact that mobile security threats are rising. So while it is great that mobile workers are increasingly able to work from locations such as cafes, hotels and airports, there is no guarantee the Wi-Fi hotspot they are using is fully secure,” said Raghu Konka, vice president of engineering at iPass. According to the report, German CIOs are most suspicious that their mobile workers have been hacked. UK enterprises are likely to be most wary of remote workers, but 42 per cent of companies have no plans on banning the use of Wi-Fi hotspots.